Due to tardiness this review of Sabor in London is shamefully late. It’s been a couple of months since the visit so I nearly didn’t bother, but that’d be daft given how, since opening at the start of the year, Sabor’s found its way onto various Top Whatever lists and might just get lucky in a certain guide being released tomorrow. Wasting this kind of copy would be pure carelessness. Also, it’d be a pity not to celebrate the fact that I may have finally taken some photos that aren’t completely abysmal. Let’s go. 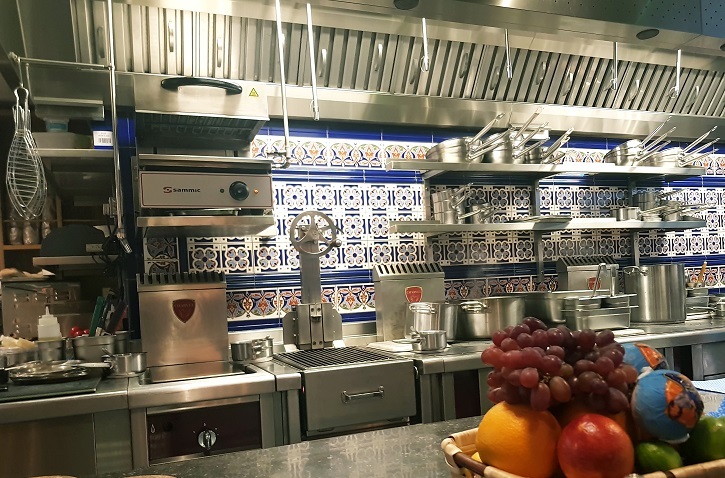 Sabor is the solo gig of Nieves Barragan, she formerly of the hallowed Barrafina. Expecting Barrafina-esque queues, and peckish having so far only necked a ruinous orange juice at Borough Market, I hotfoot it across the capital and down a nothing alley off Regent Street to take my place in the rapidly growing swell. Like at her old gaff, the kitchen-counter is a no-reservations-job (although you can book for the upstairs Asador bit) and my intention is to get bedded in poste-haste and spend a couple of hours getting quietly sloshed. Uber-chef Pierre Koffman, a couple of places up the line, is probably thinking the same. After some awkward crowd-mingling the doors are eventually opened with Barragan greeting us at the door like we’ve been bezzies for years. Seats are taken and the dance begins. There’s something deeply satisfying about a “simple” dish executed precisely and with minimal faff, which is exactly what I get in an opening salvo of classic Pan Tomate. The wedge of bread just thick enough, just toasted enough, and laden with just enough sweet tomato pulp enough to remind the scoffer that this isn’t any old tinpot tapas spot. Yep, it’s all in the details. 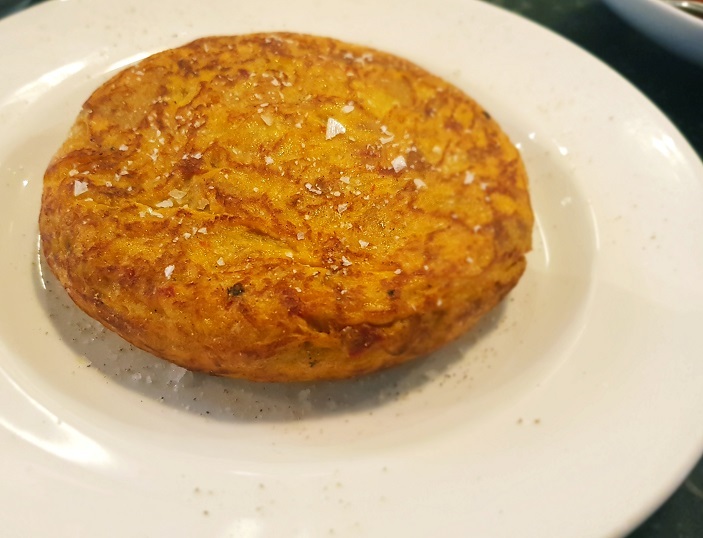 Exhibit B: a golden disk of pert and plump tortilla that’s perfectly formed and wobbling in all the right places. Forked, it seeps rich silky yolk. 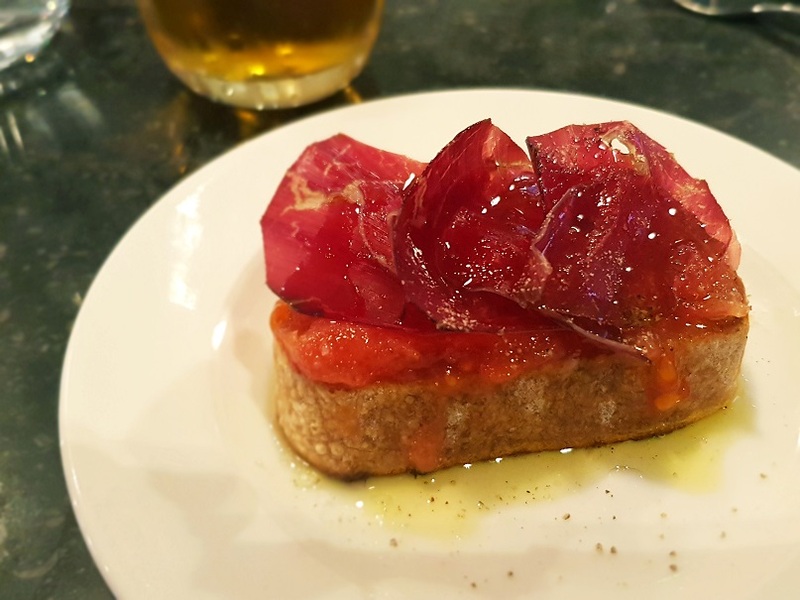 Like you, I’ve never heard of Txistora – a chorizo with ambition, really – but the smoky nubs of it bobbing around chunks of juicy tomato – dark-skinned and greenhouse-fresh – are moreish and toothsome. A fluttering of parsley adds to the summery vibe and there’s artichoke, too, which I’m still not sure if I like. Either way the pooling juices, peppery and oily, demand dredging with a simple slab of unadorned bread, but I find none to order. 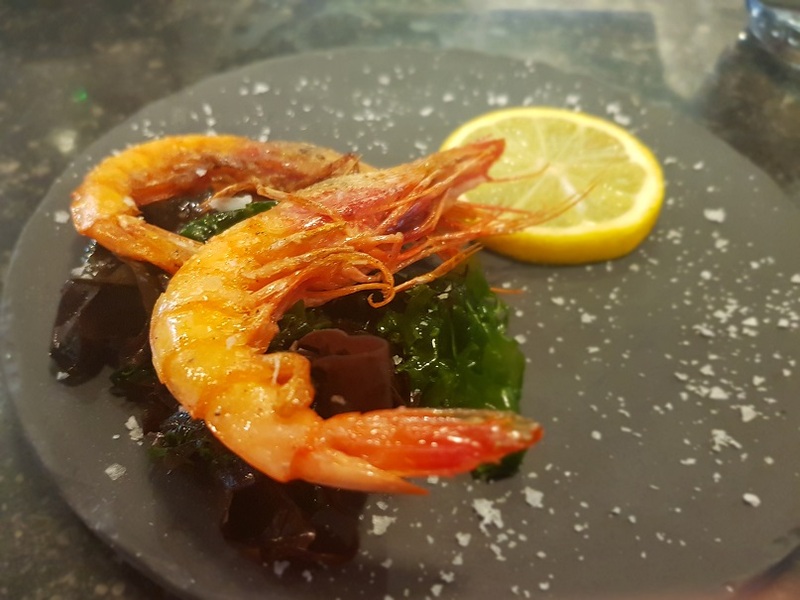 The highlight of this lunch at Sabor – and here I brace myself for the inevitable (and dreary) Price Wince – is a brace of svelte and sweet prawns at 8 quid the pair. Tell yer what: the head-meat alone’s worth every penny. I do, however, draw a line at the £17 carabinero (massive prawn, singular) regardless of how ‘special’ it is. I mean, that’s three orange juices back at Borough. Presumably Barragan’s upstairs tending the Asador for most of the service, knocking out the likes of suckling pig and aged cow from the wood oven. She nips down every now and then, checking, guiding and, in one case, binning what looks to me like a perfectly acceptable plate of monkfish tempura for not being fried to quite the right shade of gold. (No shouty histrionics, mind.) I’d have had those, Nieves. Wine starts at 25 quid a bottle but I stick to beer (£4), and thanks to some spirited service my glass is never empty for long. Staying in the low gears I accrue a relatively conservative bill but it’d only take a couple of inhibition-loosening sherries for things to start adding up. Tempted as I am by the £12.50 lamb sweetbreads I stick to the ten-quid-and-under gear this time. 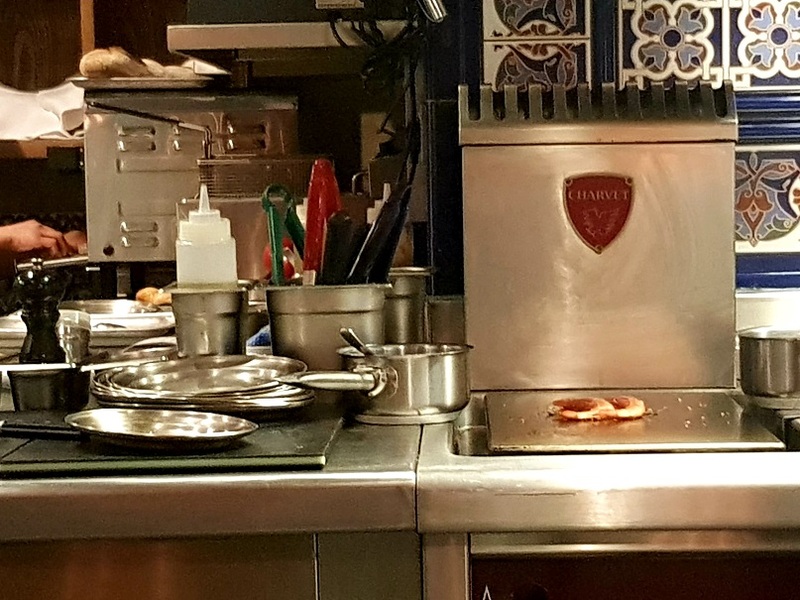 In some ways the kitchen counter at Sabor is Barrafina with nicer tiles on the walls and comfier seats on which to park your arse. And considering what an institution the latter has become this is no bad thing. 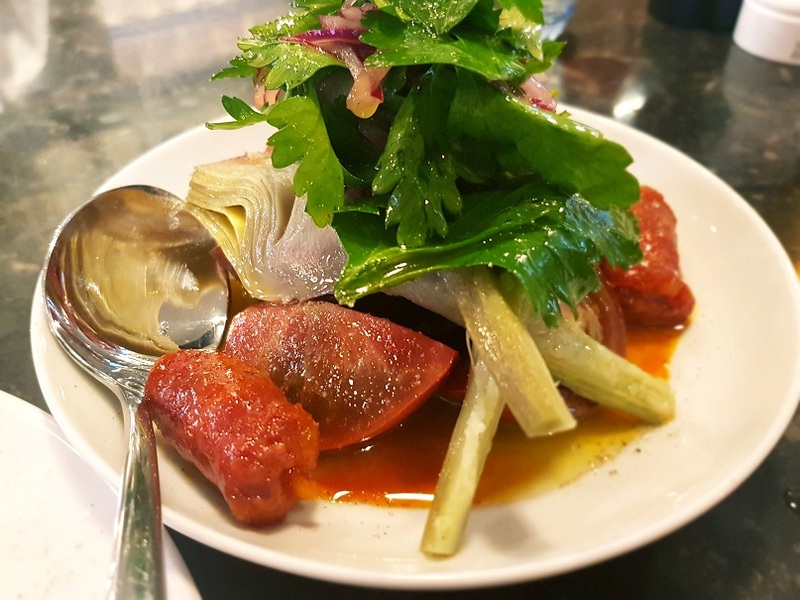 However, although service is tightly-drilled and slick Sabor does feel a smidgen more relaxed; the kitchen here lively but warmer and less theatrical. Either way, like all the best spots Sabor buzzes with the chatter of folk enjoying good food while getting steadily pissed. More of this guff on Twitter.